Unicode 9.0 comes out on June 21 and has 72 new emojis including the croissant, whisky glass, and fingers crossed. 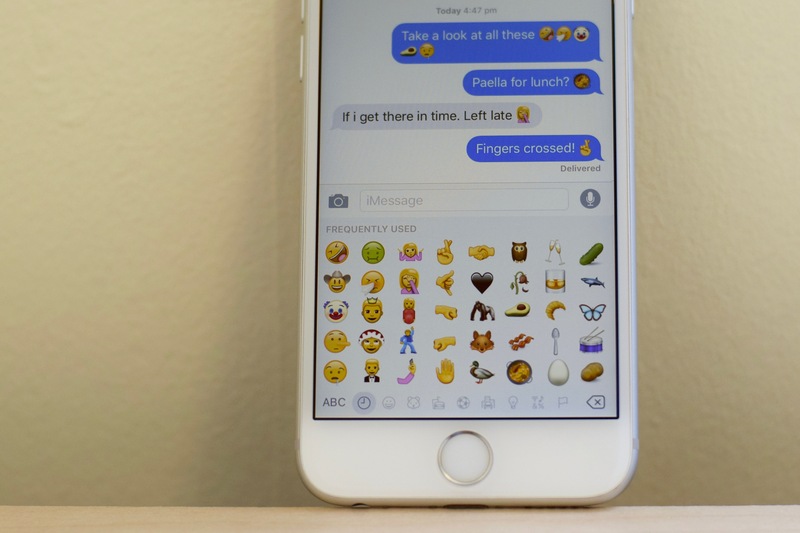 Above: Photo showing new Emojipedia Sample Images on an iPhone 6s. The short answer for what's coming in iOS 10 next week, is we'll have to wait and see. However looking at release dates for past updates will give some context. Unicode 7.0 was released in June 2014, and was the first major addition of new emojis in the Unicode standard since Unicode 6.0 and 6.1 first accepted emojis into the standard. 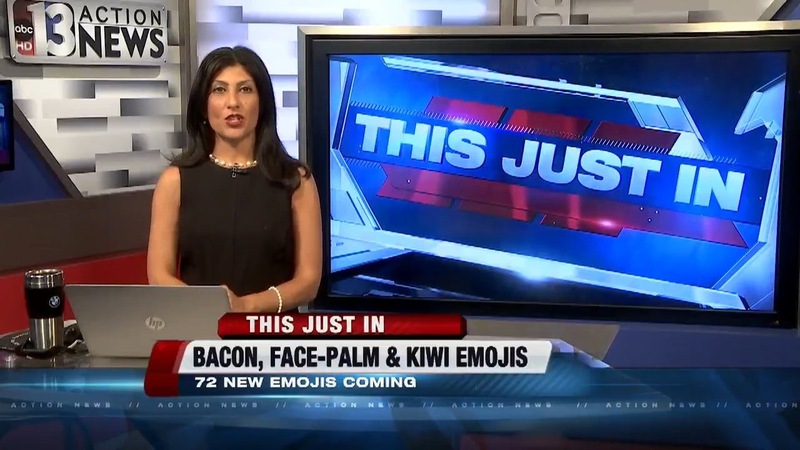 250 new pictographs were included, but this was cut to a list of 103 so-called “standard additions” for emoji months after Unicode 7 came out. Above: Sample images from Unicode 7.0. No major vendor added these new emojis to their operating systems in 2014, prompting articles questioning "what happened to those new emojis". Nearly a year after the release of Unicode 7, Apple updated iPhone, iPad and Macs with new emojis — but crucially, just one from Unicode 7 hidden as an easter egg. 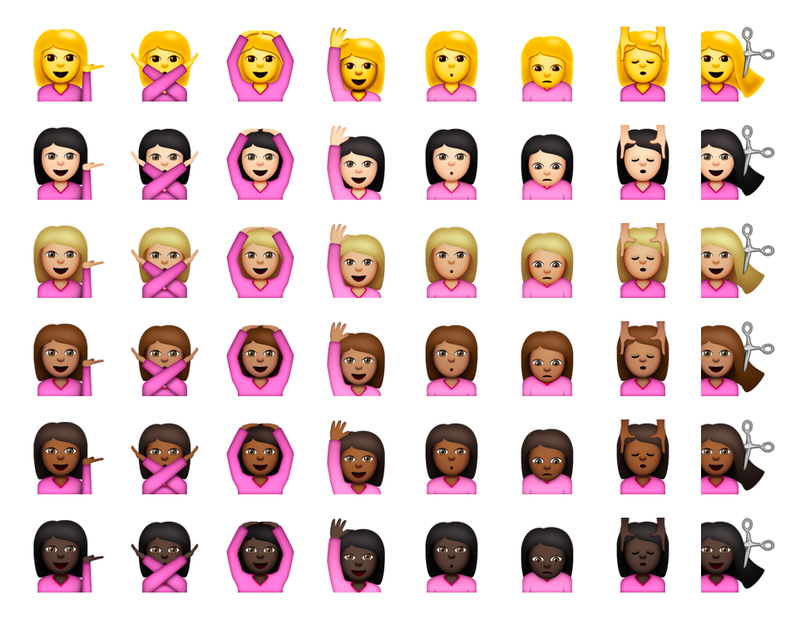 Above: Modifiers were new in iOS 8.3 allowing multiple skin tones per emoji. The only changes in iOS 8.3 that required a new Unicode version were the skin tones modifiers which were still in beta as part of Unicode 8.0 when it was released. Apple clearly felt some public pressure to release this update ahead of the less-useful Unicode 7 emojis - and did so. 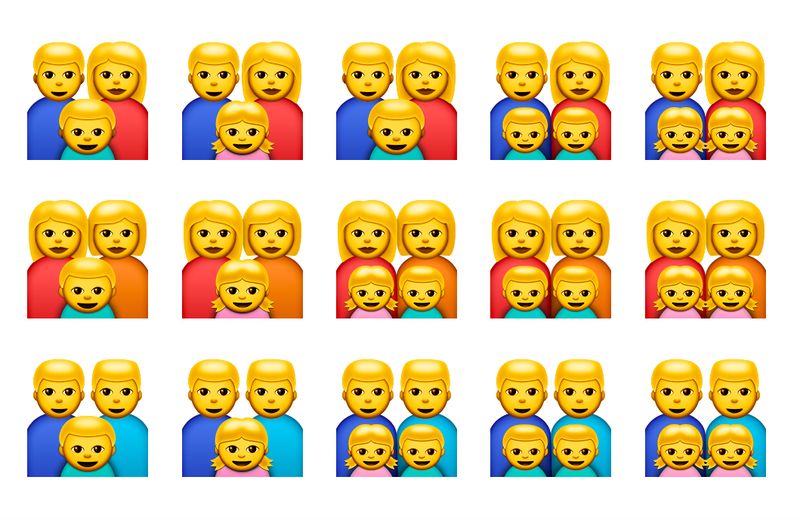 Above: Family combinations were added to iOS 8.3. Families were the first use of the Zero Width Joiner character to combine multiple Unicode characters into a single emoji appearance. Flags were already possible with regional indicators, so adding new country flags did not require an updated Unicode release. Above: New flags in iOS 8.3 did not require an updated Unicode release. These were possible since Unicode 6.0. 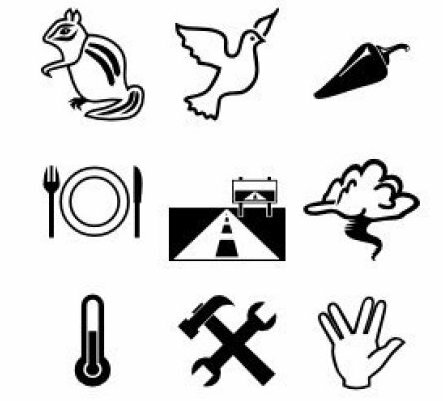 Unicode 8.0 was released with a far more useful set of emojis than Unicode 7.0: 10 new faces, new animals, sports and foods. At this stage, no emoji approvals from Unicode 7 or Unicode 8 were on any major platform. 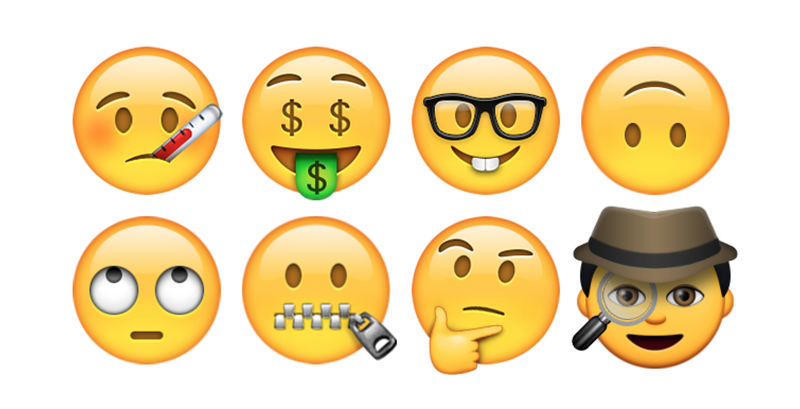 Above: Sample images for new emojis in Unicode 8. "New EMOJIS!" The world was ready to say. But no. Apple did an emoji update with more flags. Again - this was possible without a new Unicode release. 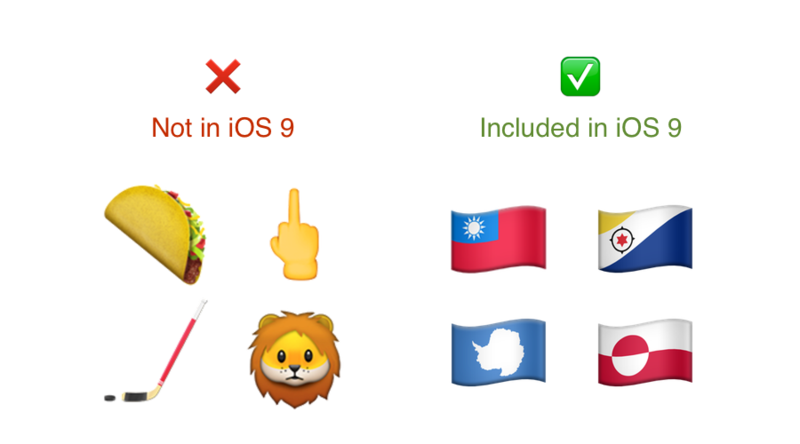 Above: iOS 9 had new emojis...for flags. Above: New emoji faces in iOS 9.1.
iOS 9.1 was the first platform to support every single emoji in the Unicode standard. The turnaround time from when Unicode 8 was released to iOS 9.1 including the new emojis was just over three months. This shows that a relatively short turnaround time is possible, when the stars align correctly. This month we will see Unicode 9.0 being released on June 21. The timing is right if Apple wanted to include these 72 new characters in developer previews of iOS 10.0. Above: Emojipedia Sample Images of Unicode 9 approvals. With emoji getting more attention in 2016 than ever before, it's possible Apple will want to be on the front-foot with new emoji support right away in iOS 10.0. Like many of you, I'll be watching the keynote on Monday to see if Craig gives this a mention.